A drug called velagliflozin has proven effective in preventing ponies affected by insulin dysregulation from developing laminitis. 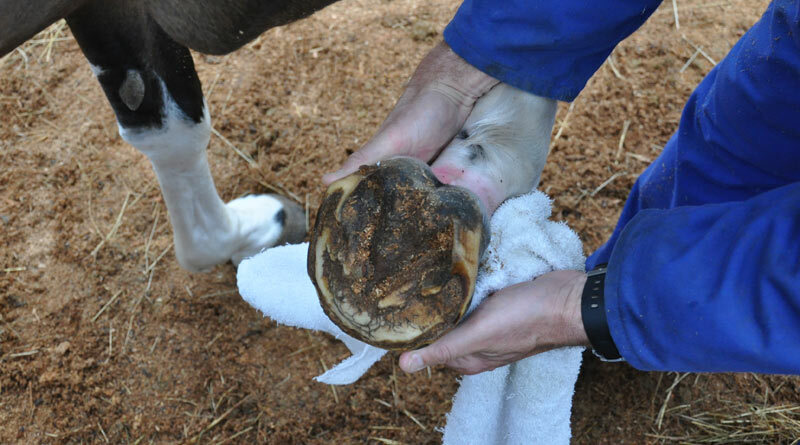 Laminitis is a common and painful condition of the horse’s foot, causing lameness and, in severe cases, can lead to euthanasia. Endocrinopathic laminitis, associated with insulin dysregulation and hyperinsulinemia, or pituitary pars intermedia dysfunction (PPID), is thought to be the most prevalent form of the disease. The cause of hyperinsulinemia is multi-faceted, but the ingestion of a diet that is high in non-structural carbohydrates by animals who have a tendency for enhanced glucose absorption has been shown to be a likely factor. Researchers Alexandra Meier, Dania Reiche, Melody de Laat, Christopher Pollitt, Donald Walsh, Martin Sillence, writing in the open-access journal PLOS ONE, noted that there are no registered veterinary drugs for treating insulin dysregulation and preventing insulin-associated laminitis in horses. They described an Australian study to assess the effectiveness of velagliflozin, a drug provided by the German drug firm Boehringer Ingelheim Vetmedica GmbH. Velagliflozin is a sodium-glucose co-transport 2 inhibitor that reduces renal glucose reabsorption, promotes glucosuria (the excretion of glucose into the urine), and consequently, decreases blood glucose and insulin concentrations. The researchers set out to determine in a “proof of concept” study if velagliflozin reduced hyperinsulinemia and prevented laminitis in insulin-dysregulated ponies fed a challenge diet high in non-structural carbohydrates. An oral glucose test was used to screen 75 ponies for insulin dysregulation, of which 49 ponies with the highest insulin concentrations were selected. These animals were assigned randomly to either a treated group of 12 horses who received velagliflozin throughout the study, or a control group comprising the remaining 37. All ponies were fed a maintenance diet of alfalfa hay for three weeks, before transferring to a challenge diet, which amounted to 12 grams of non-structural carbohydrates per kilogram of body weight per day for up to 18 days. Blood glucose and serum insulin concentrations were measured over 4 hours after feeding on day two of the diet. At this early stage, maximum glucose concentration was already found to be 22% lower in treated animals when compared to the controls. This was reflected by a 45% lower maximum insulin concentrations in the treated group. The diet induced low-grade laminitis in 14 of the 37 control horses (38%), whereas no velagliflozin-treated pony developed laminitis, the study team reported. Ponies who developed laminitis were immediately taken off the diet and put on a grass hay diet to resolve the problem. “Velagliflozin was well-tolerated, with no hypoglycemia or any clinical signs of adverse effects,” the researchers said. The researchers said their study was the first of its kind to demonstrate the prevention of insulin-associated laminitis using a pharmacological agent. Their findings, they said, supported further clinical testing of velagliflozin. “It is especially encouraging that velagliflozin was readily accepted and well tolerated by all 12 ponies over the 39-day treatment period. “Interestingly,” they continued, “laminitis was not only prevented in insulin-dysregulated ponies, but also in ponies diagnosed with clinical PPID, four of which were included in the treatment group. “In comparison, the five ponies in the control group with clinical PPID all developed laminitis. “The fact that no velagliflozin-treated pony developed laminitis despite concurrent clinical PPID is very encouraging for the compound, but also supports prior studies showing that the likelihood of laminitis occurring in PPID animals can be directly related to the degree of insulin dysregulation. Elevated triglyceride concentrations occur in previously laminitic, obese and hyperinsulinemic horses, and this aspect deserved further investigation in horses, they said. While the role of obesity in laminitis is unclear, insulin concentrations are known to correlate positively with obesity. In the present study, the lowest glucose concentration observed in a treated pony was within the normal range for horses, they noted. Another concern with treatment using this class of drugs is its use in subjects with pre-existing kidney disease. However, no elevation in creatinine or urea was observed in velagliflozin-treated animals after 39 days. The study team acknowledged that the main limitations of their study were the sample size, the infrequency of monitoring for pathology biomarkers, the lack of measurement of urinary glucose output, and the fact that despite randomisation, the treated group was younger than the control group. “In summary, both primary aims of the study were accomplished,” they concluded. “Velagliflozin improved insulin dysregulation through reducing the insulinemic response to a high non-structural carbohydrate diet, and consequently reduced the risk of insulin-associated laminitis. “In addition, the compound was well accepted and tolerated, with no adverse effects occurring. The study team are variously affiliated with the Queensland University of Technology, the University of Queensland, the Animal Health Foundation in Missouri, and Boehringer Ingelheim Vetmedica. The company is exploring the possibility of the commercial use of velagliflozin in horses and has sought patents in respect of the use of this class of drugs in horses. Any news on when this drug will be available to the public?